Prerequisite: Working knowledge of 3D design and task-scheduling. Methods of Instruction: Methods of Instruction: Lecture, Reading, Hands-on assignments, and Projects (trainees are encouraged if allowed, to bring actual work projects). 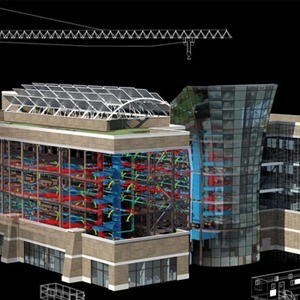 Course Description: The Autodesk NavisWorks Fundamentals training class instructs trainees in best approaches to combine 3D geometry from cross disciplines into one scene to enable effective model reviews. Through a hands-on practice-intensive curriculum, trainees acquire the knowledge needed to review and markup model, use TimeLiner, Animator, Scripter, Quantification, Autodesk Rendering, as well as the Clash Detective tools within the Autodesk NavisWorks software. You will learn how to open, review, quantify, and run object-interference checks on 3D models., how to link to task-scheduling files and create 4D construction simulations. Will use the Animator and Scripter tools, create interactive animations, use of rendering tools to create photorealistic images and animations.